Hi friends! I'm sure by now you have all seen the wonderful Christmas ornament featured on front of the Holiday catalog! Well one of my customers wanted to learn how to make the ornament. So we got together over the weekend and I showed her how to make one. But first I had to make one! I must say that this is a very labor intensive project but so worth it once you are done and the possibilities are endless what you can do to change up the original idea. 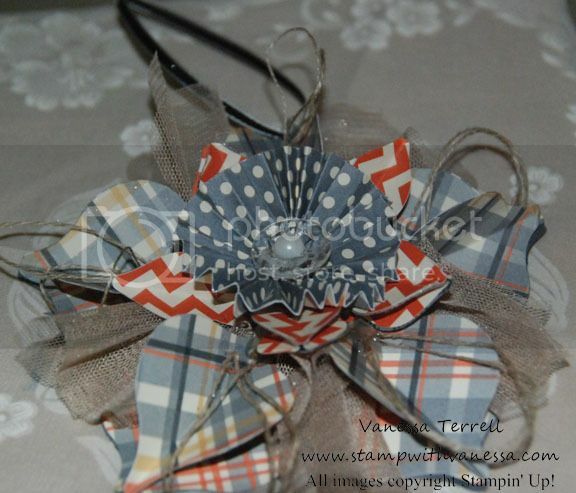 My customer and I had a wonderful time bonding and crafting together! Here is what the original ornament looks like! This is my front view. 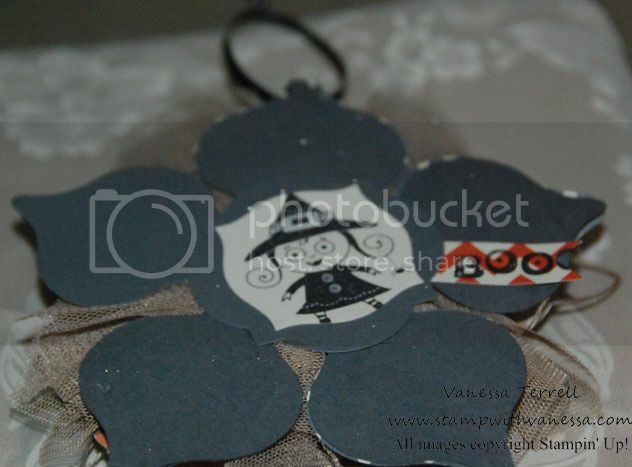 Here is what the back of the ornament looks like. Now I didn't have the need a second Christmas ornament, so I decided to make a Halloween ornament at the same time that I was instructing my customer on how to make her ornament. 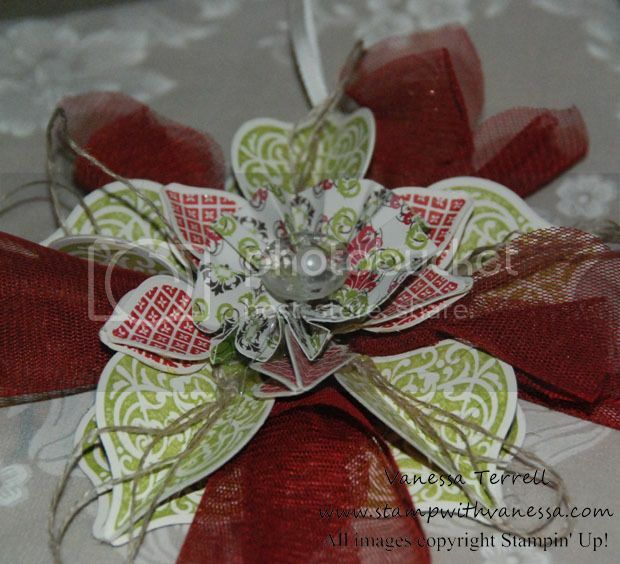 Here is how that ornament looks! 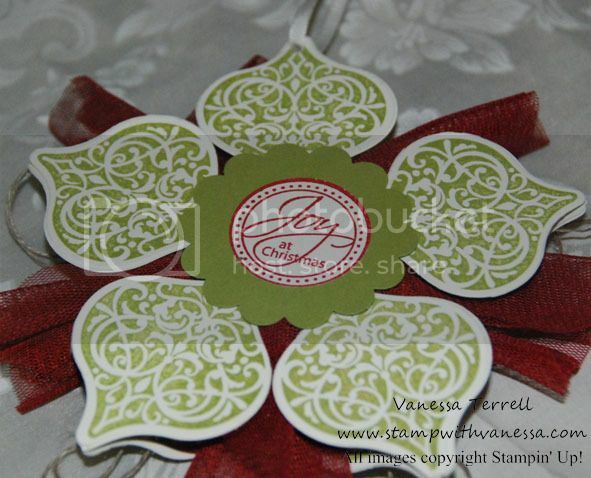 Notice I didn't do any stamping on this ornament and I'm happy with this look! Here is what I did on the back of the ornament. After making these ornaments I think I'm hooked and I'm sure that I will be making more of them and perhaps simplifying the process! This was so much fun to do! 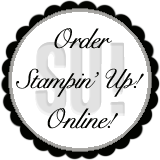 Also, there's still time to receive your FREE gift from Stampin' Up! when you purchase one of the Ornament Keepsakes Bundles. You can make your purchase here.